Dexter bed and breakfast travel guide for romantic, historic and adventure b&b's. 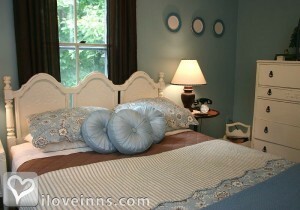 Browse through the iLoveInns.com database of Dexter, Maine bed and breakfasts and country inns to find detailed listings that include room rates, special deals and area activities. You can click on the 'check rates and availability' button to contact the innkeeper. Dexter Maine is in the geographical center of the State. Dexter is just a short 50 min drive to the Maine coastline or the beautiful, unspoiled and peaceful Moosehead Lake/Mt Katahadin region (which is the start of the 2175-mile Appalachian Trail that ends in Georgia). While staying in Dexter, you can enjoy a variety of activities, such as: hiking, biking, canoeing, whitewater rafting, bird or moose watching. In the winter, Dexter's guests enjoy skiing, snowmobiling, dog sledding, ice fishing, snow shoeing and many other activities.With Dexter's central location, you can stay here and be in any part of the state quickly and easily. Your innkeepers will happily assist you with your plans or make arrangements for you to help schedule guided tours and/or activities to make your time here truly special. Explore the "Grand Canyon of Maine" Gulf Hagas, Borestone and Kineo mountains and the North Woods all just a short drive from Dexter. Canoe or kayak in any one of the many lakes and ponds close by such as the beautiful Lake Wassookeag here in Dexter. There are several restaurants to choose from in the Dexter area: Anglers (Seafood) Spring Creek BBQ, TJs, Abel Blood and Cervesas (Mexican) to name a few. By The Brewster Inn. Maine has many interesting towns and scenic cities. The small town of Dexter, a part of Penobscot County, boasts a population of only a few thousand. Dexter bed and breakfast inns have guests who wish to see the town's old non-functioning and historic mills. The museums in the town such as Abbot Museum and Grist Mill Museum give visitors a short but satisfying education on the town's history of logging and wood milling. Miller's House and Carr Schoolhouse are two other buildings that were constructed in the mid-1800s but are still standing. These also provide a vintage glimpse of Dexter. By The Brewster Inn. Close to Bangor Maine, Dexter is the gateway to the Moosehead Lake and Mt Katahdin region of Maine. Scenic unspolit natural beauty at it's finest. Also just a short 50 min drive to the rugged beauty of the Maine coastline. Dexter is a great place to base yourself as its the geographical centre of Maine and close to I95. Everywhere is just a daytrip By The Brewster Inn.